This post is sponsored by Bona but the content and opinions expressed here are my own. Read my full disclosure policy here. Patterned tile floors are a popular and on trend choice for kitchens, bathrooms, laundry rooms and entryways. 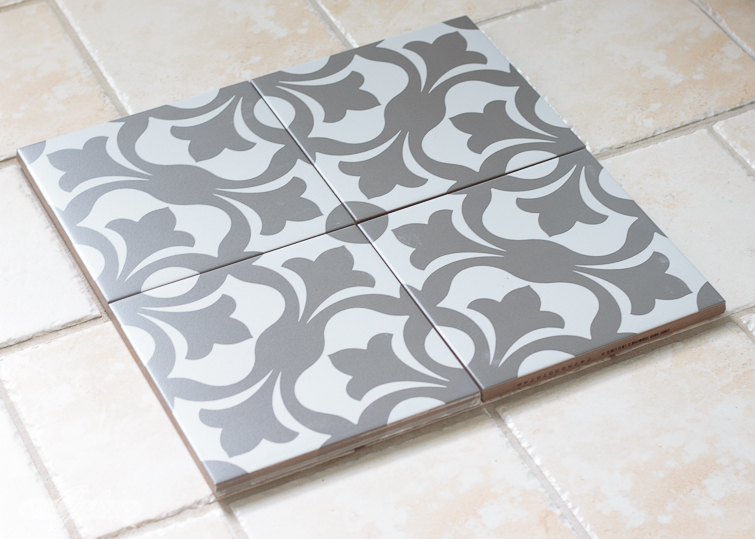 I’m showcasing some of my favorite encaustic tiles plus sharing tips for how to clean tile floors without damaging them. Never trust me when I say a room in our house is done because I’m always thinking ahead to the next makeover. 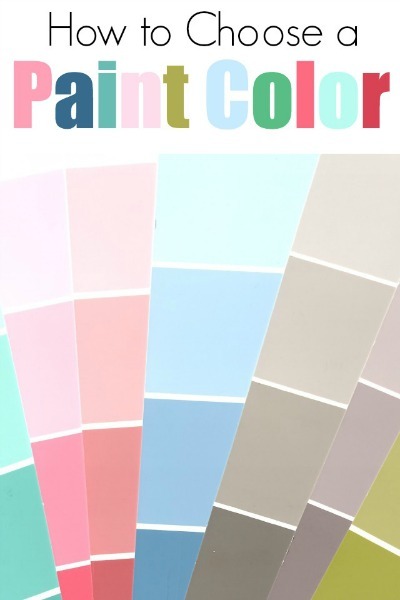 Lately, I’ve been thinking about making a little change in our laundry room. Like a lot of people, I’ve fallen in love with the look of patterned encaustic tile floors and I’m thinking about trying out the look in our home. 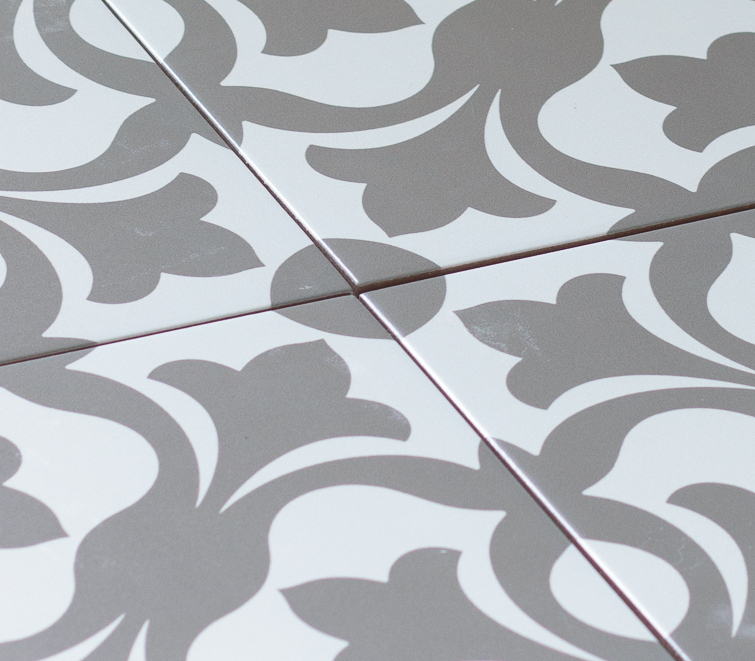 I’m daydreaming about either replacing the existing tile floors or stenciling them with a pretty pattern. In the midst of my spring cleaning this week, I ran out to the hardware store and grabbed a few sample tiles to try out in the laundry room. 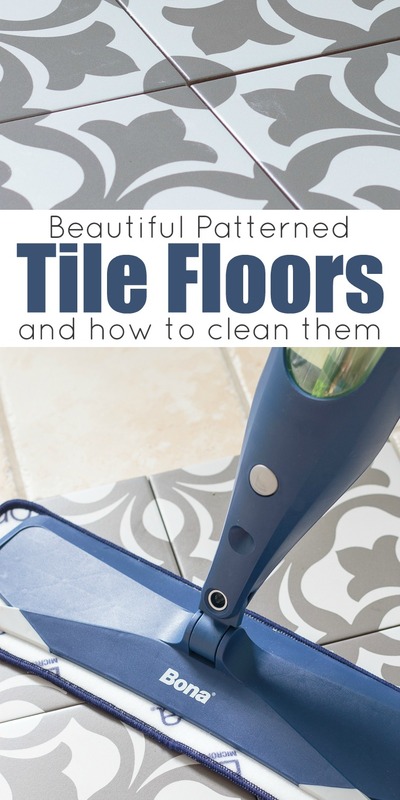 Whether I replace the tiles or paint the existing ones, I know that you need to show your floors some love by cleaning them the right way, using the right tools. 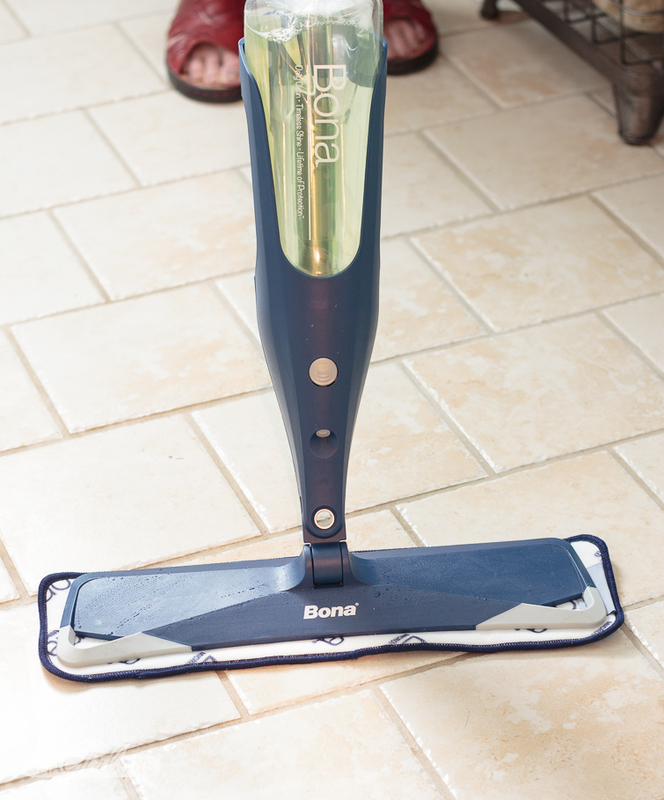 I use the Bona Premium Spray Mop with Bona Stone, Tile, & Laminate Cleaner to clean the tile floors in our bathrooms and laundry room. The easy-to-fill and easy-to-use spray mop requires no mixing and is always ready to use. The quick-drying cleaning solution is designed for hard surfaces, and it leaves no residue. Visit the Bona website to save $5 on any mop in stores. Since we’re talking deep spring cleaning, begin by clearing the floors. 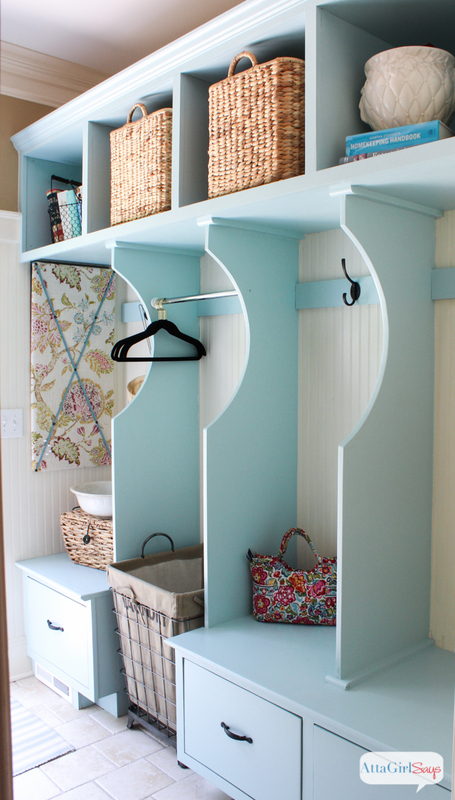 Move furniture, baskets and other clutter so you can clean the entire floor surface. 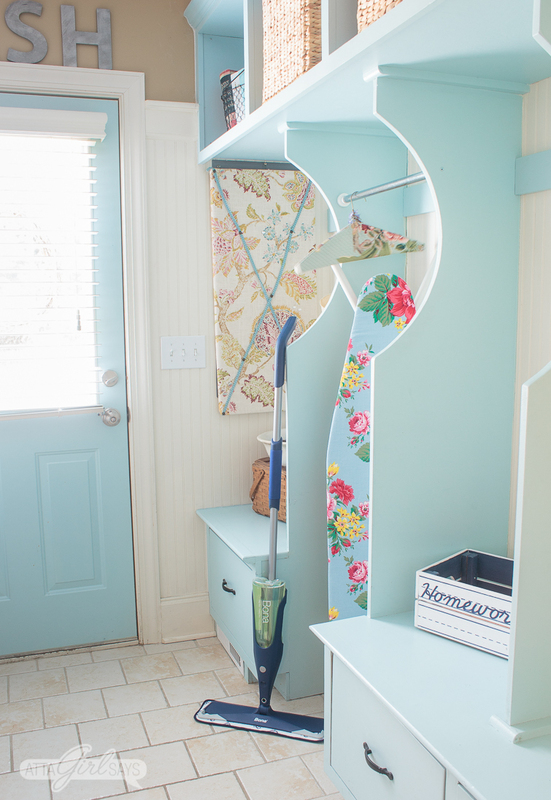 Next, sweep and vacuum up any debris, paying particular attention to corners, crevices and grout lines where dust, debris and pet hair like to hide. When mopping tile floors, always use a cleaner that is specifically formulated for your flooring type. 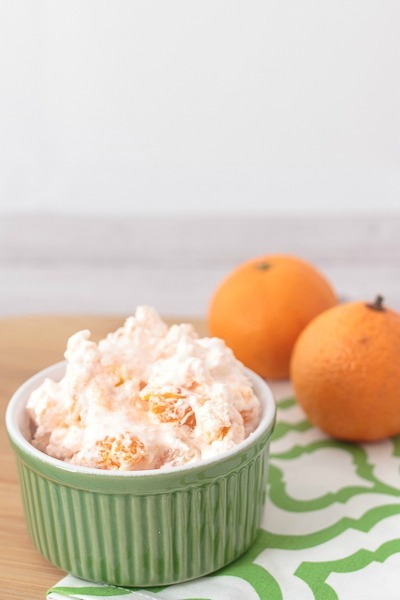 The wrong type of cleaning solution, including DIY formulas, could leave a residue that is hard to remove. 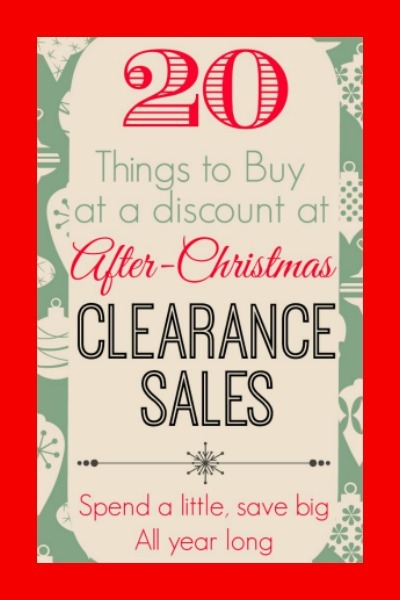 It can also dull the finish, or worse, it could damage your floors. 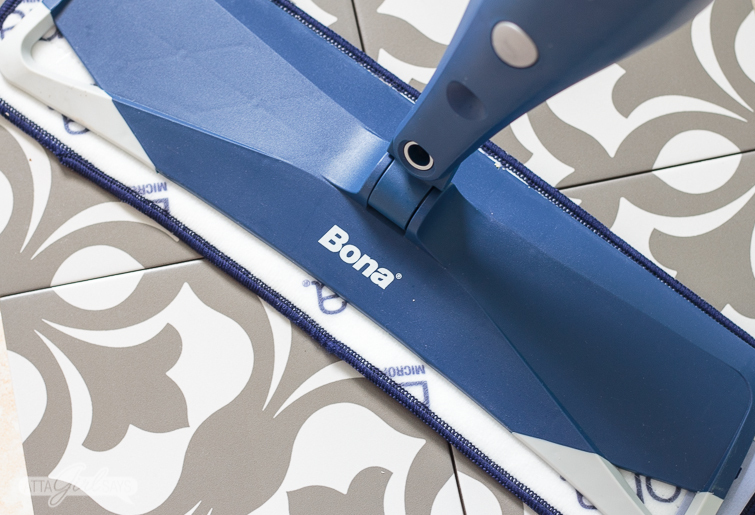 Bona Tile & Laminate Cleaner can be used to clean linoleum, stone, terrazzo, vinyl, sealed porous marble, laminate, and no-wax sealed tile. Since grout is porous, it can get stained if you don’t mop regularly. When that happens, you may have to tackle the grout with a toothbrush, Cinderella style. 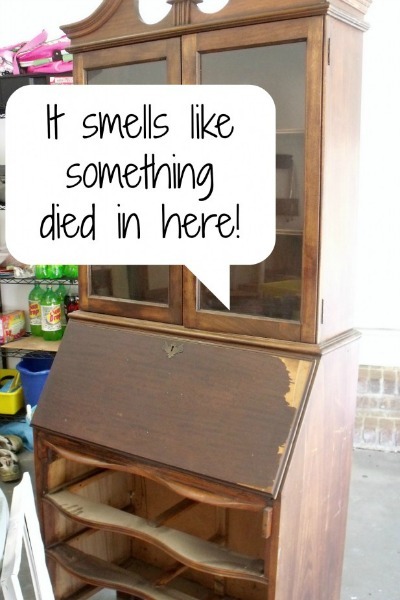 A quick cleaning every week will save you lots of work in the long run, which will make the whole spring cleaning process just a little bit easier. 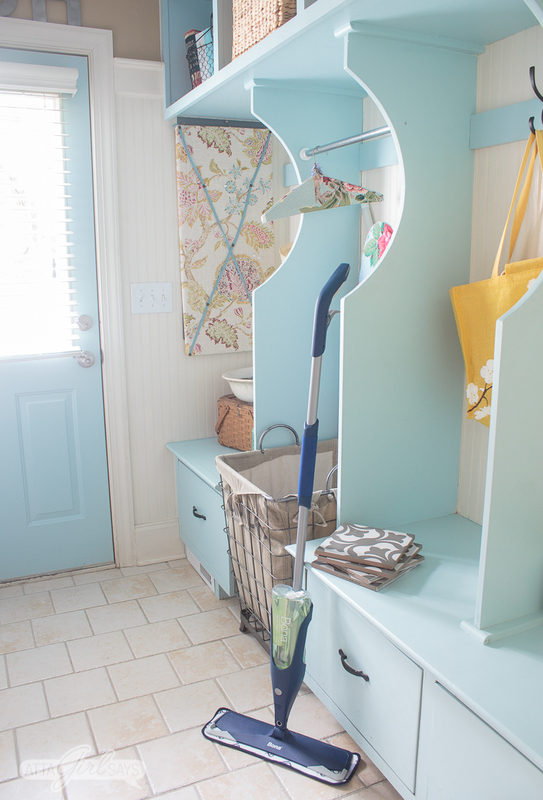 Now that the laundry room is clean, it’s time to tackle those piles of dirty clothes! 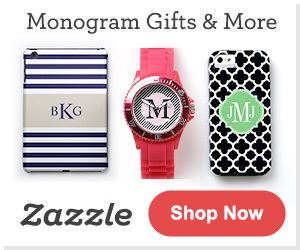 Or I could just daydream about my next room makeover and shop for new tile.